NEW ORLEANS – The United States Court of Appeals for the Fifth Circuit recently issued its opinion and denied a rehearing in Valero Marketing & Supply Co. v. M/V Almi Sun, 893 F.3d 290 (5th Cir. 2018)—one of the first maritime lien cases arising from the demise of the O.W. Bunker group of companies to reach the federal courts of appeals in the United States. Phelps Dunbar, led by Partners Gary Hemphill and Jeremy Grabill, obtained a complete victory for the vessel interests in the trial court and successfully defended that victory on appeal, solidifying an important maritime law precedent in the process. Before their worldwide bankruptcy filings in late 2014, the O.W. Bunker companies were in the business of buying and selling fuel (bunkers) to ships operating in international commerce. It was typical for vessel owners or charterers to contract with an O.W. Bunker entity in one location and for that O.W. Bunker entity to enter into sub-contracts with other O.W. Bunker entities and/or physical suppliers for the actual supply of fuel to vessels. O.W. Bunker’s sudden collapse spawned a tide of lawsuits around the world when suppliers of fuel were unpaid by O.W. Bunker entities with which they contracted and shipowners faced demands for double payment for the same fuel supply. Several weeks after O.W. Bunker went bankrupt, Valero arrested the M/V Almi Sun while it was located in the Eastern District of Louisiana and asserted a maritime lien against the vessel in rem under the Commercial Instruments and Maritime Lien Act (CIMLA), 46 U.S.C. § 31342. 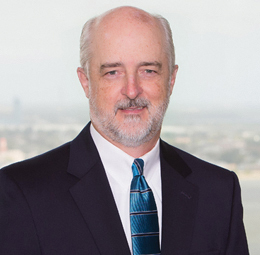 Phelps drafted an extensive summary judgment motion and responded to Valero’s cross-motion, arguing that Valero could not assert a lien under CIMLA because it did not provide fuel to the vessel “on the order of the owner or a person authorized by the owner” to bind the vessel, as required by the statute. The district court agreed and dismissed Valero’s claim with prejudice. Valero appealed to the Fifth Circuit, and Phelps presented oral argument to the court in early 2017. Although it took the court over a year to issue its decision, the Fifth Circuit ultimately affirmed the district court’s ruling, ensuring that vessel interests would not have to pay twice for the same fuel. Phelps successfully argued that Valero had provided fuel to the vessel on the order of O.W. Bunker, and that O.W. Bunker did not have authority to bind the vessel to a lien. The Fifth Circuit’s precedential opinion is consistent with recent rulings by the Second, Ninth, and Eleventh Circuits in similar O.W. Bunker cases.